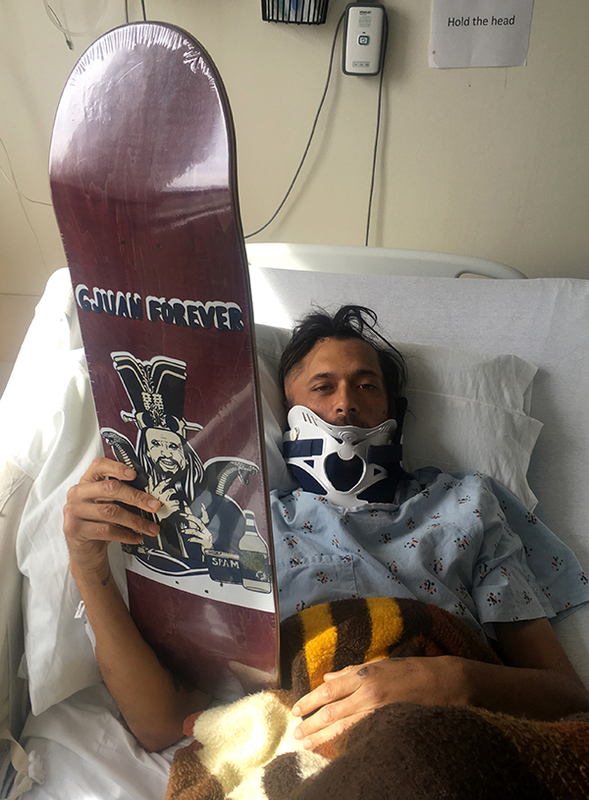 On March 10, 2018 my friend, Gerry Juan, was injured with a massive blow to his cranium. The surgeon was not hopeful, but Gerry is a warrior and survived the surgery. In the following weeks, a fund was started for Gjuan (more info here). Friends put together an amazing event to sell products donated by artists, brands, friends, family, etc. 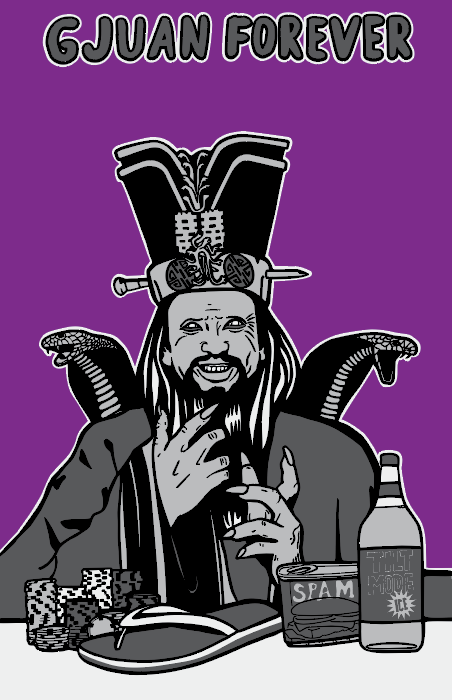 I talked to some of Gerry’s close friends and came up with a suiting idea for a graphic to put on skateboard decks to sell at the event. 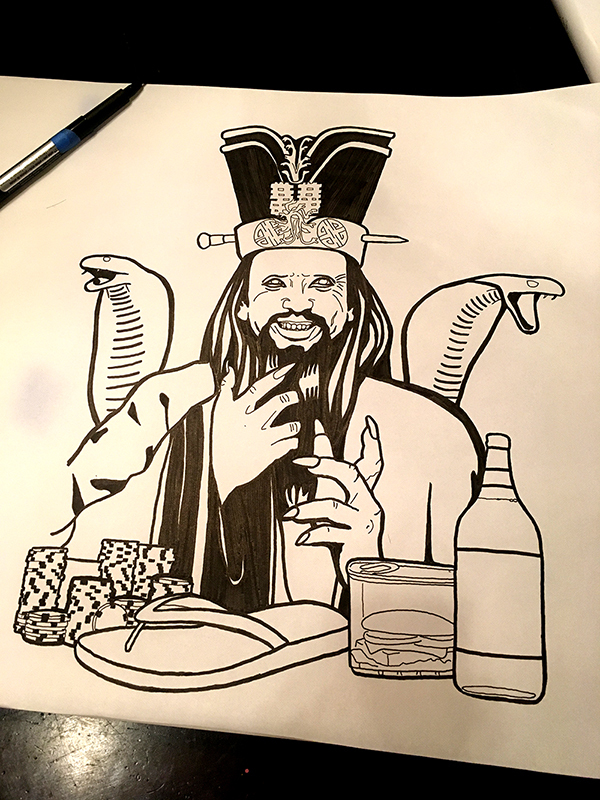 I hand drew up the idea without hesitation… thus, the Gjuan Forever deck was born featuring Lopan, from Big Trouble In Little China, and a few items to represent Gerry. 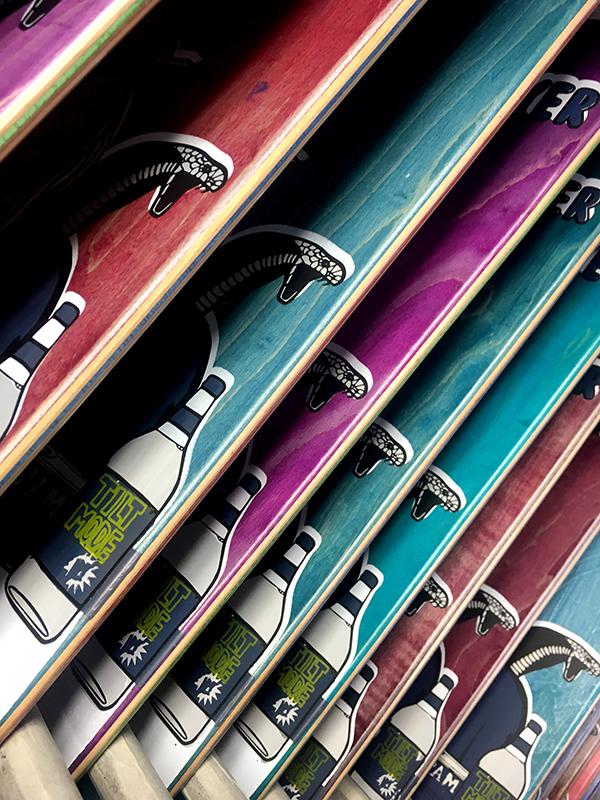 A rush job of some hand screen-printed decks by Zarosh at Platipus Skateboards and Printing to meet a quick deadline was handled. The skateboards were picked up and delivered on the day of the fundraising event. 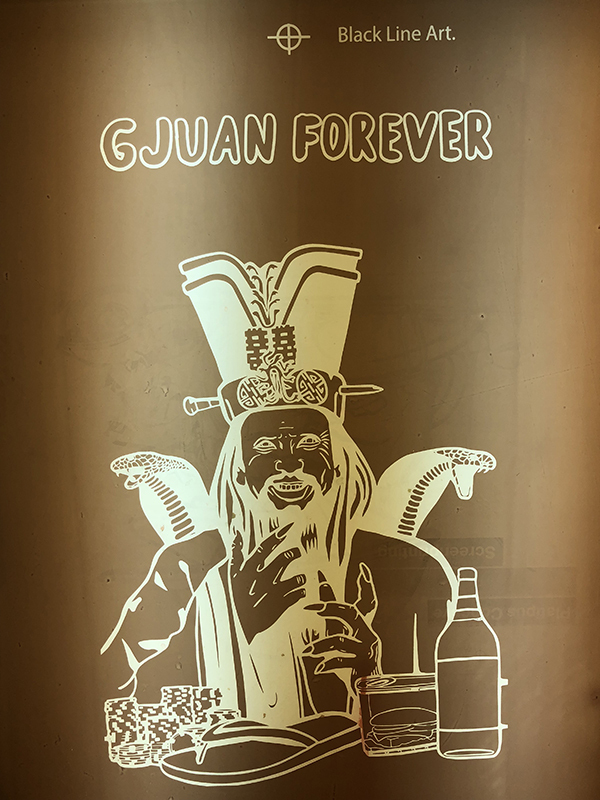 30 Gjuan Forever decks were sold to make a contribution of $3,000 to Gerry’s fund.